The SpaceX Dragon spacecraft launched on its maiden flight on December 08, 2010, beginning a series of demonstration missions as part of NASA's Commercial Orbital Transportation Services (COTS) programme. The mission, known as Dragon C1, launched from Cape Canaveral atop a Falcon 9 rocket at 15:43 UTC. During the flight four cubesats were deployed from the "trunk" section of the Dragon spacecraft. 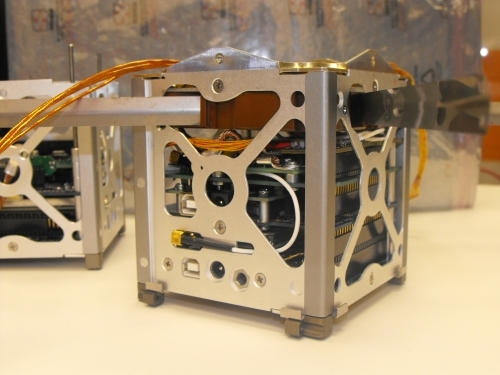 CAERUS is USC's 1st nano-satellite subsystem delivered in May 2010, and was named after the greek word for "opportunity". It was developed from authorization to proceed (ATP) to delivery in 14 weeks. 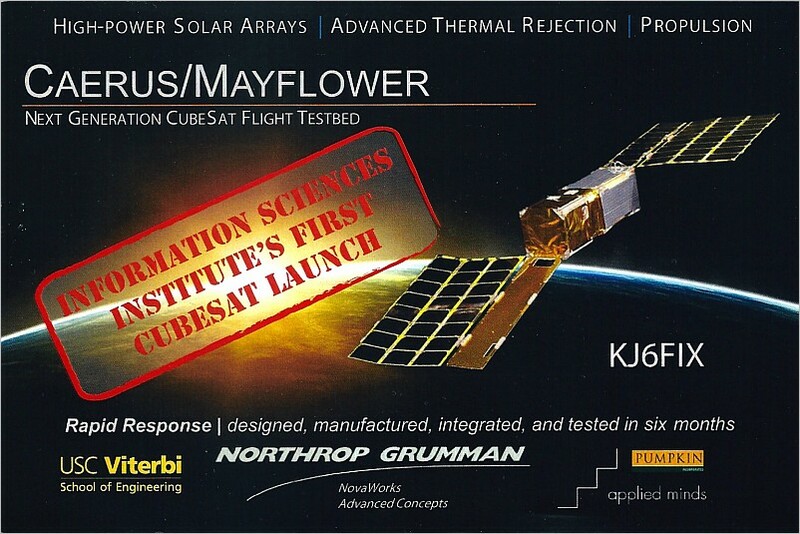 CAERUS is part of the "MAYFLOWER" Next Generation Technology Nanosatellite that is a joint effort with Northrop Grumman NOVAWORKS group. 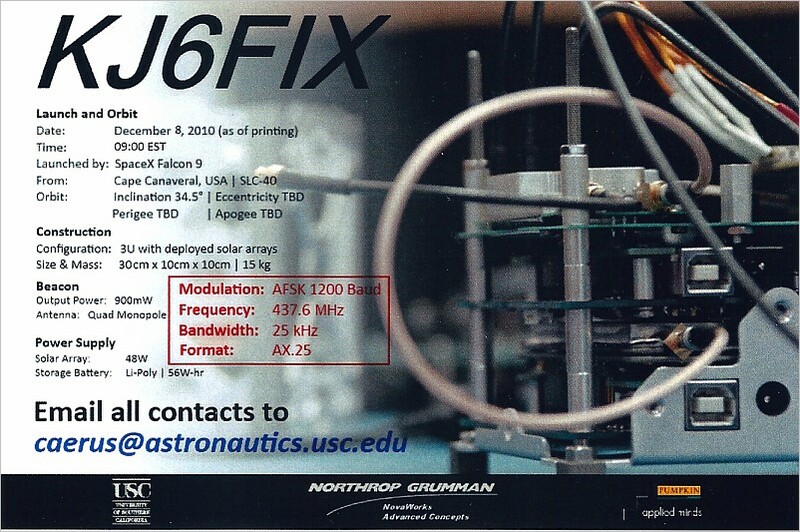 It is a 3U-size CubeSat with propulsion that has eight Pumpkin deployable solar panels unfurled into a single array. Dec 14, 2010: Due to operational considerations, the beacon will be off except in certain conditions and at variable event times which will not be predicted. Whereas tracking of the beacon is possible over the next few weeks, it is improbable. Dec 08, 2010: First-day on-orbit telemetry from Caerus/Mayflower indicated that all systems were operating normally. Bit 4 = 1 : WP is deasserted.